Love Beans - 5 oz. Take love to the next level! 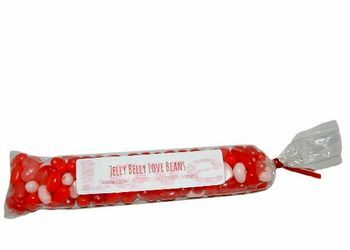 These Jelly Belly Jelly Beans are a shimmering array of Valentines colors dazzled with tiny hearts. The assortment of flavors includes Cinnamon, Coconut, Cotton Candy, Jewel Very Cherry, and Red Apple.